The Transactions which are refereed, scientific research and development papers in line with international standards for reporting major advances in mining, minerals and metals technology. Items in the Transactions will be eligible for the Institute’s gold or silver medal award and certificate of merit. The Transaction papers are recognised by the Department of Education and Training (DET) and cited by Thomson ISI (formaly the Institute for Scientific Information). The Journalsection which contains articles, reports and news items on new developments related to the industry but which are not subject to the rigid refereeing procedures of the transaction section. The items are selected by the Publications Committee from many sources including the colloquia and seminar presentations of the Institute. 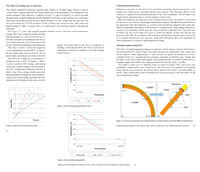 The Journal is the organ of The Southern African Institute of Mining and Metallurgy, which is the professional body dealing with the interests of the mangers, engineers and technical and research personnel involved in the mineral industry. 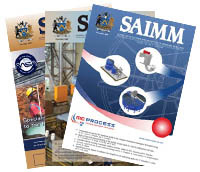 The Journal, published since 1894, is issued monthly, protem, and is sent to the individual and company members of the SAIMM. Subscribers and complimentary copies are also sent to a wide range of local and overseas companies, universities, research organizations and libraries. The circulation currently is 3200. Rightfully claiming to be the leading mineral industry publication in South Africa, the Journal has high standards both of content and presentation. Transaction articles are peer reviewed and recognized by the Department of Education and Training (DET) and cited by Thomson ISI(Formerly the Institute for Scientific Information). 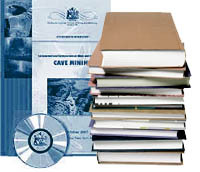 It provides its readers with vital information related to the SAIMM and the mineral industry, reports on day-to-day mining operations and practice and on improvements in the technology and equipment.